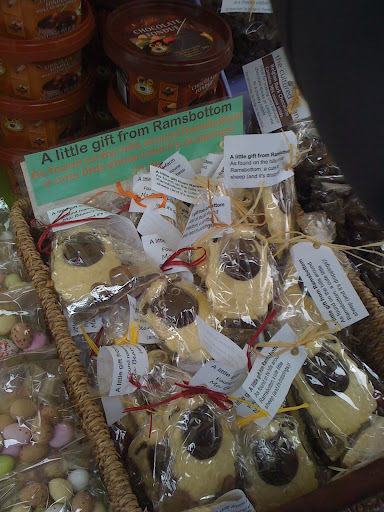 “RAMSBOTTOM” is a strange name for a small town. 4 miles from my home. 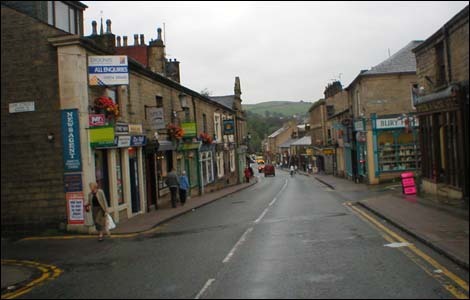 Ramsbottom is situated in the Lancashire hills on the river Irwell. It has a gritty beauty, with stunning views of surrounding moors, these days dotted with wind turbines, elegantly turning in the wind. 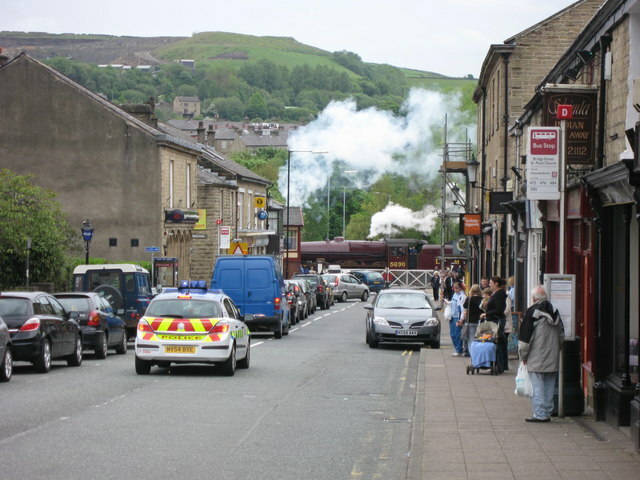 It has beautiful stone Victorian architecture and the steep streets of terraced houses give it character. 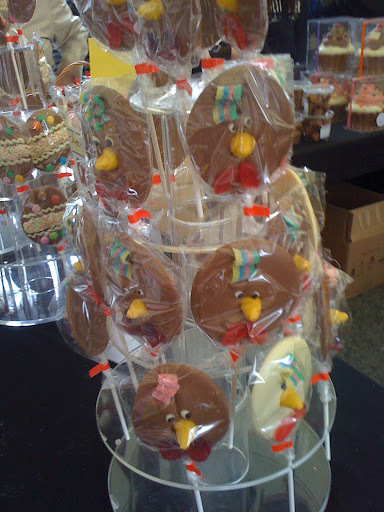 So it is not surprising that a town with a funny name should stage a Chocolate festival each year. 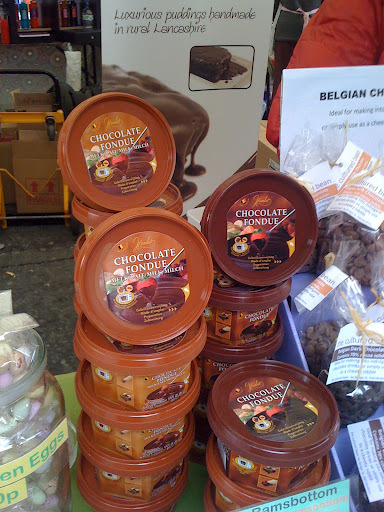 There was music, a Chocolate market. selling all sort of Chocolate goodies. A local Chocolatier creating a sculpture, and lots of street food. 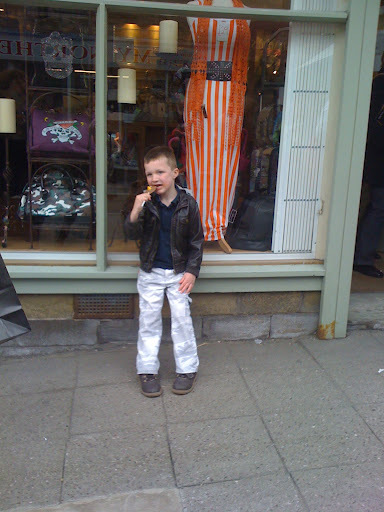 Louie takes a moment out to eat his lolly. 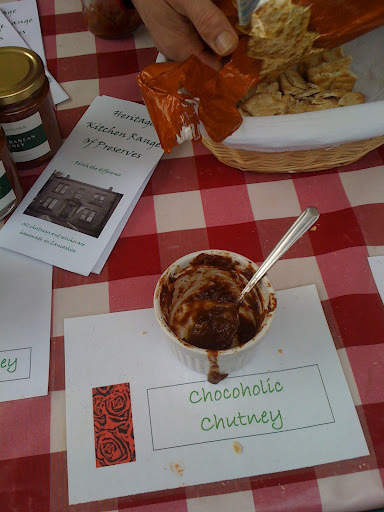 I tried the Chocoholic chutney and it was actually quite good. Made with apples and chocolate. Of course there was music, a beer tent, and lots of fun for the children. 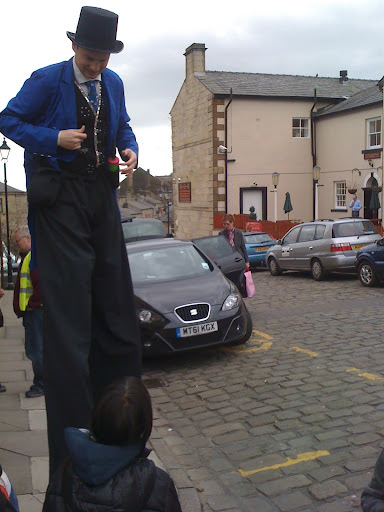 This man walked around giving away balloon animals. 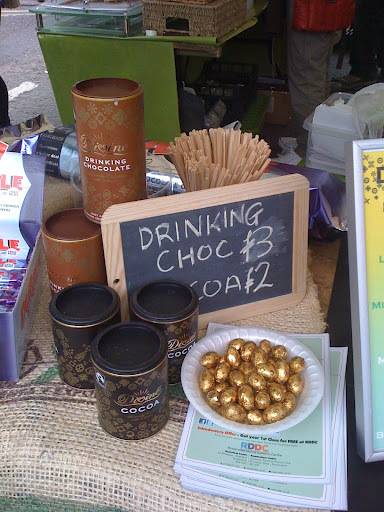 There was face painting, egg decorating and a golden ticket to win a prize. 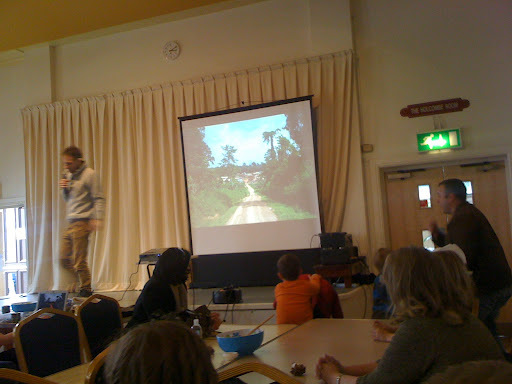 Of course the educational bit, telling us where chocolate comes from. 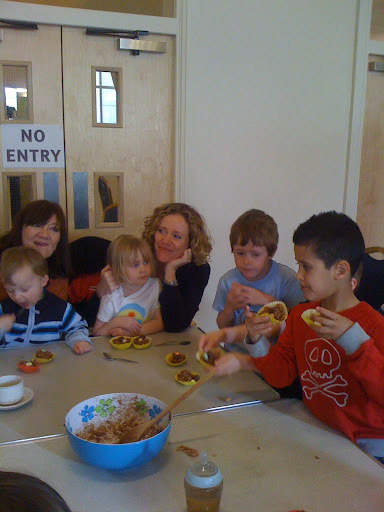 ..and the fun bit, a workshop making crispie chocolate cakes. My grandchildren proudly show off their efforts. …which didn’t last long, believe me! You're so lucky to have grandchildren, Denise! I miss the days of watching kids make things – like crispie chocolate cakes – and then helping them eat it! 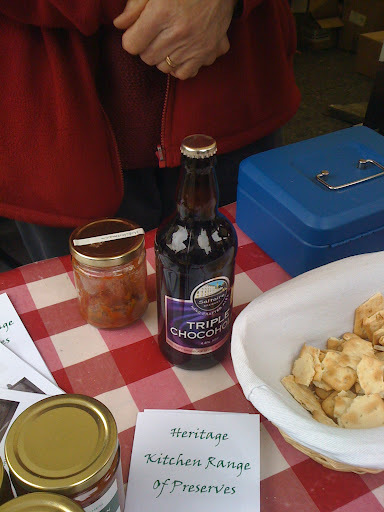 I can imagine that the chocolate chutney would be good. 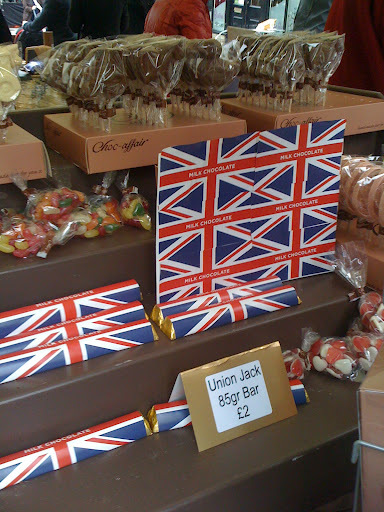 Chocolate goes well with all sorts of flavors.Sorry if I've already told you this, but our daughter believes that English chocolate is the best…much to the disappointment of her Swiss father.